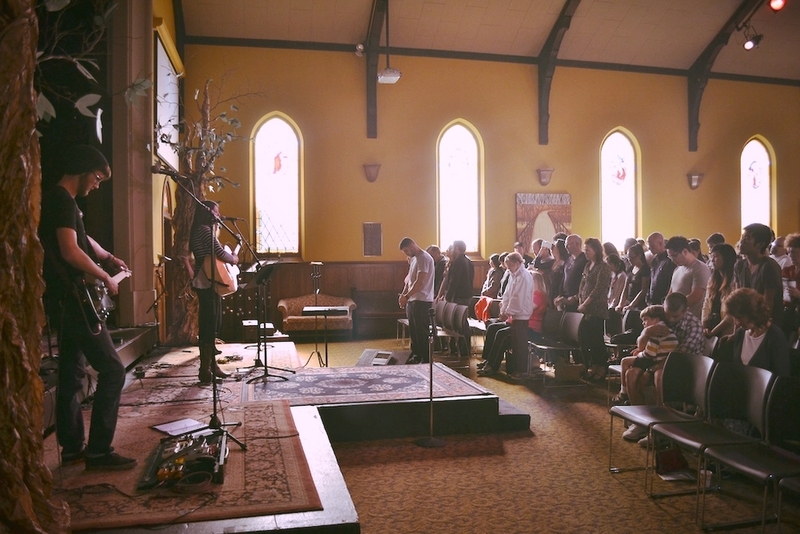 We have three Sunday worship gatherings at 9am, 11am, and 5pm. Each gathering has the same message, music and flow, but the vibe of each is unique. The atmosphere at Vintage Faith in general is casual, friendly, and comfortable. Because we believe that God is the ultimate Artist, music, art and creative expressions of worship are a regular part of our gatherings. We also take communion together each week and regularly have a time for worshipful giving to support God’s work at Vintage. In order to help us grow in our love for God and people, we strive to set an ethos of deep Scriptural study and discussion in our community. Each Sunday we teach from the Bible for about 35-40 minutes, often going through a topical study (e.g., relationships, how to live missionally, hard questions about the faith) or studying whole books of the Bible. Each week, hundreds of VFC-ers meet in dozens of smaller communities on campus and around the county to learn about God, pray, laugh, serve and do life together. We call these Community Groups and Life Stage Ministries. When you come on Sundays, we will invite you connect into a smaller community and will walk alongside of you until you have found the right fit.